Hello everybody, and welcome to Y5's blog! 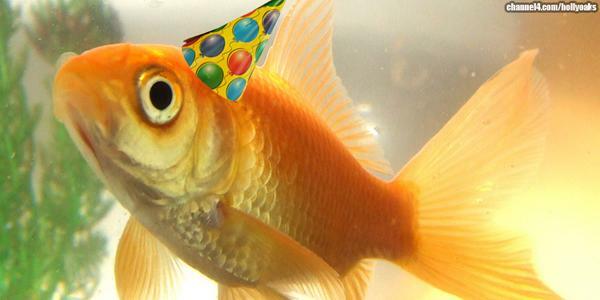 My name is Bob, and I am the class fish (incase you didn't know already). Well, it's a new school year and time for some fresh, new faces to appear at my tank every day. Oh I am happy everybody is back in school. It gets so lonely y'know when they all go off on holidays and forget about me! It has certainly been a successful few weeks back so far! Everybody seems so happy and enthusiastic- just what I like to see! The children seem to be settling in amazingly well- with lots of new responsibilities and routines to get their teeth stuck into. The first week, I watched them take part in lots of exciting activities, including making their own personalised jigsaw pieces and birthday cards for the year. The children have revisited the school's Mission Statement and Core Values and completed some beautiful work in their books for this! The new R.E. topic for this half term is 'Ourselves'- where the children have already been looking at how God has created them all to be totally unique with their own individual talents and qualities. The children have taken part in role play activities and discussions about this- looking at scripture from Genesis about Creation. The topic this half term is 'Traders and Invaders'. The children will be learning all about the Anglo Saxons, Scots and Vikings in the coming weeks, but their 'Stunning Start' to the topic this week saw them investigating a murder!! They will be completing lots of interesting work on the poem by Alfred Noyes over the coming weeks! Place Value has been on the maths menu this past few weeks. Y5 have also been collecting a scrap book of ideas for art- as they are looking at the work of the Pop Artist Andy Warhol. They are still in the process of making some of their own, but have done lots of research to find out about his colourful work! As mentioned before, Miss Davies is already extremely impressed with the enthusiasm of every single person in Y5 so far, and has really struggled to give out any rewards because so many children have given 100% all of the time. We have lots of new rewards in class this year, one of which is Star of the Week. Our first two 'Stars of the Week' in class are Ava and Sam. Well done to both of you! Miss Davies is feeling very positive and is looking forward to another successful year already.